Who can resist the charm of Charlie Calf in a nest of straw? Oh, so you don't think cows build nests, eh? Well, let me tell you, neither do I, but it looks to me like Charlie's mum's got a lot in common with a blackbird. 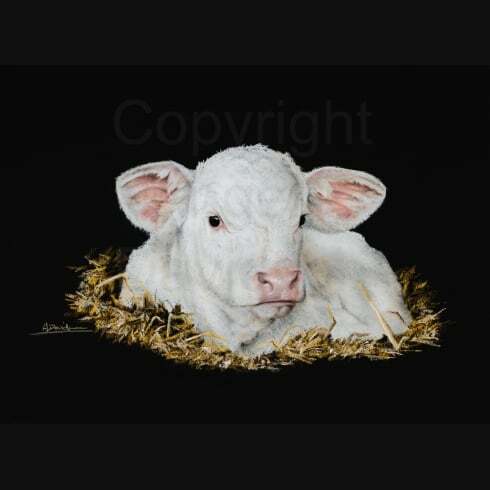 By the way, the only reason this calf's called Charlie is because that's how we refer to the Charolais breed here.